Today at the Worldwide Headquarters of Manhattan Infidel I have decided to relax, kick my feet up and treat my readers to an exciting musical interlude. 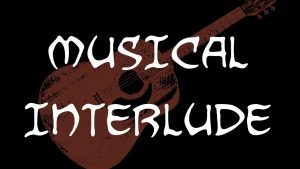 But not just any musical interlude. A progressive musical interlude. I’m gonna vacuum that baby right outa my uterus. And send it to the garbage can. Don’t try to have that baby! Tear it up, rip it up! cut it up, limb by limb. And send him to the garbage can. Ride that baby right off your body. abort that baby that’s what choice is for. And throw out the nonviable fetal matter. I’m gonna vacuum, poison, use forceps to get that baby right outa my body. Don’t try to have that child. Push him out, slice him up. I’m gonna delete him, send that toxic masculinity on his way. Sixty million abortions since 1973. And we laugh at Nazi Germany.